Dr. George H. Bobbitt D.C. It has been said that a business that makes no profit is a hobby. For the most part, business owners are concerned about service and profit. There are numerous book, articles, mentors, consultants, and mastermind groups available to help us learn how to better serve and be compensated. These different aids do an amazing job to get us on the right track. From what I have experienced, it seems that one almost has to be a genius to be able to manage and inspire the workforce. As well as, market, organize, and run a business. There is a constant search for the right tool, the right software, the right strategy, the right people, the right mission statement, the right culture, so on and so on. It is easy to get caught up with the current trends, but sometimes in doing that we forget the basic principles. I was recently reminded of this in an area of my life. I was spending numerous hours and research attempting to solve a problem. However, the answer was not available because I was trying to solve the wrong problem. This issue of attempting to solve the wrong problem runs rampant in our work world and is often hard to find the real why. It was said that the more complicated a situation gets, the further from the truth it may be. Meaning, the basic principles may have been dismissed and not applied. 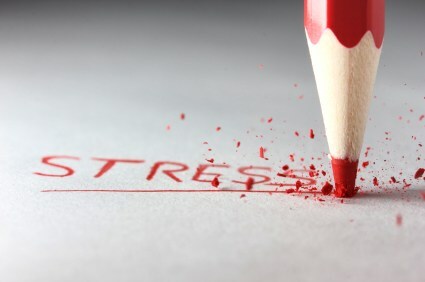 More to the point, one of the biggest killers of production and profitability is stress. When stress impacts our lives, it will directly affect our ability to provide a valuable service thus impacting the bottom line. One of the basic truths of health is that if we put garbage in our bodies, we get garbage out. Remember the saying, “you are what you eat”? Now here is a disclaimer: This will not be a make wrong about diet and exercise, especially during the holiday season, but its purpose is to remind us that production and morale can be directly related to what we eat and drink and the stress resulting from that activity. Most if us have experienced the yucky feeling after eating too much. We experience fatigue, sinus and allergy, bloating, headache, etc. Just take a moment and think about how you felt after over-indulging. Did you feel like tackling the world, or did the world just tackle you? When we get lethargic after meal, cravings for needing energy stimulants arise. These stimulants wear off thus requiring more. Headaches and other ailments demand over the counter medications which alter our awareness and response time. Decrease awareness and reaction time slow production. These compounding effects can damage profitability significantly over time. Over-indulgence over time leads to health issues that require a doctor’s attention. Doctor’s visits are responsible for considerable loss of work productivity, for the simple reason that the employee is not at work. Time is the one variable that cannot be made up. Another ground rule has to do with body flexibility. The more flexible we are, the longer we live. Our posture is being destroyed from excessive sitting and the usage of technical devices. Poor posture leads to lack of oxygen to our tissues, aches and pains, rigidity throughout our bodies, and even nerve damage. Our brain depends on oxygen for clarity and executive function. Poor posture leads to lack of oxygen – which can lead to fatigue, headaches, pains, and much more throughout the body. This causes us to take medication for relief and stimulants for energy. This now sets up for a crash later, decreased overall awareness, sick time and doctor visits. I have heard it said that “production is the basis of morale.” Our health plays an extremely major role in our productivity levels. The more we accomplish, the greater our morale. And when our morale is up, we move closer toward our goals. A simple solution to begin helping with flexibility and posture is the basic stretching exercises during the work hours. For years I have taught a class for companies called Stay Fit While You Sit. This course teaches basic stretching techniques for office environments that require just a few minutes in very little space. A book could be written on just the importance of stretching. But my purpose is to just introduce the concept to help productivity, profit, and morale. One last thought, we have found it very productive to gather our team and engage in some form of activity (10 – 15 minutes) after lunch to get the blood pumping and to get present with the remainder of the day. The value of such an activity has improved the production and over all morale of the whole office. It may seem a STRETCH, but these two basic principles are a sound foundation for health and wellness not only for our bodies but also for our businesses.